One-of-a-kind west coast inspired designer jewelry by professional and published bead, wire and polymer clay artist Tina Holden. Her work can be found at several galleries and shops around town. Tina Holden's art is available at several Tofino art galleries. She also participates in the Tofino Artist Studio Tour. 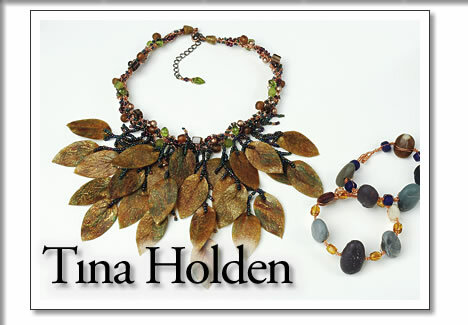 Tofino artist Tina Holden works primarily in polymer clay, which she combines skillfully with the most beautiful beads. Her jewelry is available at several Tofino art galleries.